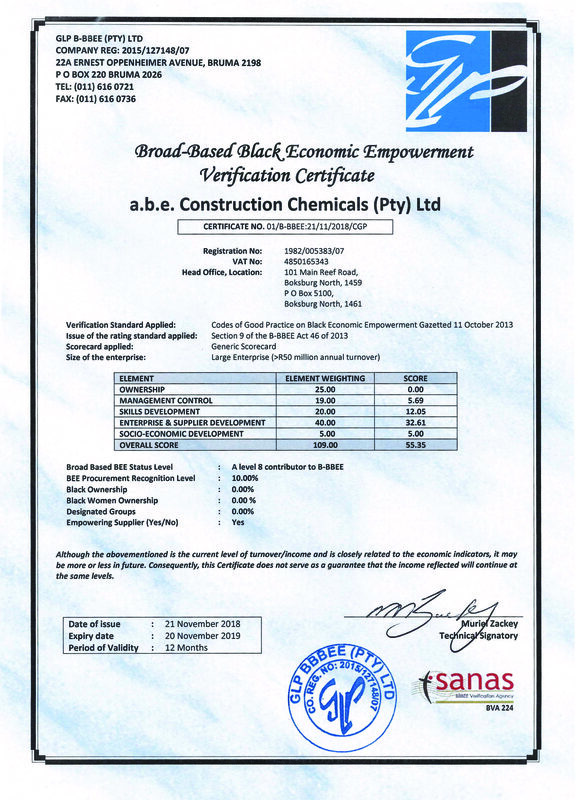 a.b.e.® Construction Chemicals‘ range of applied sealants is based on modified bitumens, tars, acrylics, silicones, modified epoxies, polysulphides and polyurethanes, with a.b.e.® currently the leading distributor of PVC, rubber and hydrophilic waterstops. Examples of typical applications are sealing of joints in road surfaces, runways and airport hangars, sealing of construction joints in walls and floors in commercial and industrial buildings. In addition products are used for houses, water reservoirs and sewage processing structures, sealing around general household sanitary ware and certain automotive applications.